Containing phloretin, L-ascorbic acid (vitamin C) and ferulic acid, this protective and corrective serum-in-a-gel provides advanced environmental protection for the delicate eye area. 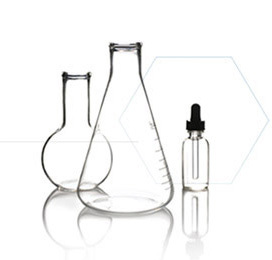 New state-of-the-art technology allows active ingredients to be suspended in solution at an acidic pH to penetrate skin just like aqueous serums. Antioxidant combination – 1% phloretin, 5% pure vitamin C (l-ascorbic acid), and 0.5% ferulic acid: A synergistic antioxidant combination helps neutralize free radicals, prevent future signs of aging, and improve the appearance of under eye circles, fine lines, wrinkles, and uneven skin tone. AOX+ Eye Gel is rated 4.3 out of 5 by 65. Rated 4 out of 5 by Anonymous from Amazing product - Need to fix pump! I really like this product - I feel like I look more rested and my eyes look brighter. I'm diligent about using every morning with my C+AHA serum. and I swear like other reviewers I saw results right away and continue to see results. The pump broke after only a couple weeks so I had to do my best to continue to get gel out without wasting too much. Really - can't you make better packaging? This is not a cheap product and to have multiple reviews here and elsewhere noting that their pumps weren't good - hopefully someone fixes it. I will order again but am disappointed to not be able to use every last drop in my bottle! Rated 5 out of 5 by Anonymous from Magic potion I have tried a lot of eye creams over the years. Many I've come across have helped with one or two key problems (puffiness, dark circles, etc.). Within a half hour of putting on the AOX eye gel my undereyes were no longer swollen, the discoloration had faded, (no longer dark blue), and the fine lines fade ever-so slightly. Even my family has made comments on how rested I look! I have been recommending this product to everyone. Rated 2 out of 5 by Michele64 from Helps with puffiness, but’s that’s all I’ve been using AOX Eye Gel for over a month, with disappointmenting results. I took a photo before I started using this product. The only change I’ve noticed while using this product is it does reduce my under eye puffiness, even when I’ve had little sleep. The dark circles and lines around my eyes remain unchanged. Once I finish this bottle I will go back to what I had been using. I am disappointed. I have been using CE Ferulic Acid for years and Love that product, I had high hopes for the eye gel. Rated 2 out of 5 by Anonymous from Disappointed, pricey and not effective I have dark circles and fine lines under my eyes. I've been faithful using this product and am disappointed that I do not notice any difference after using this for at least 3 months. I love all my Skinceuticsl products, however I do not recommend this eye product. Rated 4 out of 5 by Anonymous from Love It! I love this product! It is a must have in my morning routine. Just PLEASE fix the pump. I have to pry open the top to get all the product out of it. I will do what ever I have to do to make sure every last drop is used because of the price point. Rated 5 out of 5 by Thompson from Amazing product I am amazed at the results of using this for only three weeks and a noticeable improvement to my eyes. I use quite a few of the skinceuticals products but this is my favorite. Rated 5 out of 5 by Anonymous from Love It! Love this product...but I wish the company would put it in a different delivery system.....I knew there was more product left when the pump stopped working so I removed the lid (Very Carefully) and there was a lot left.....soooo please change the delivery to a more useable package.....thanks!